Specific dates for other modules will be agreed upon by students and faculty members at the first module. Please check & re-check this schedule frequently as new postings will be made regularly. The ODM Program is organized into 8 two-day module units. Emphasis is on practice (70% of group work, work in triads/pairs, individual work, feedback from faculty, assistants and peers). Between modules students are encouraged to engage in continuing practice: reading, peer supervision and individual work on self-assigned projects. Each individual determines the amount and type of practice they want to do between modules, depending on their individual life circumstances and interests. Support is provided in the form of peer mentoring and supervision from faculty and assistants. The final module focuses on the review of skills and knowledge developed and presentation of impact the School had on each student. Individual and group feedback are provided to each student. Tuition is 3.000 EUR + VAT for Croatian (Croatian speaking) groups, and 4.650 EUR + VAT for Austrian (English speaking) groups. Tuition includes costs of enrollment, faculty staff, work spaces and all the materials. Tuition does not include student transportation, accomodation and meals. 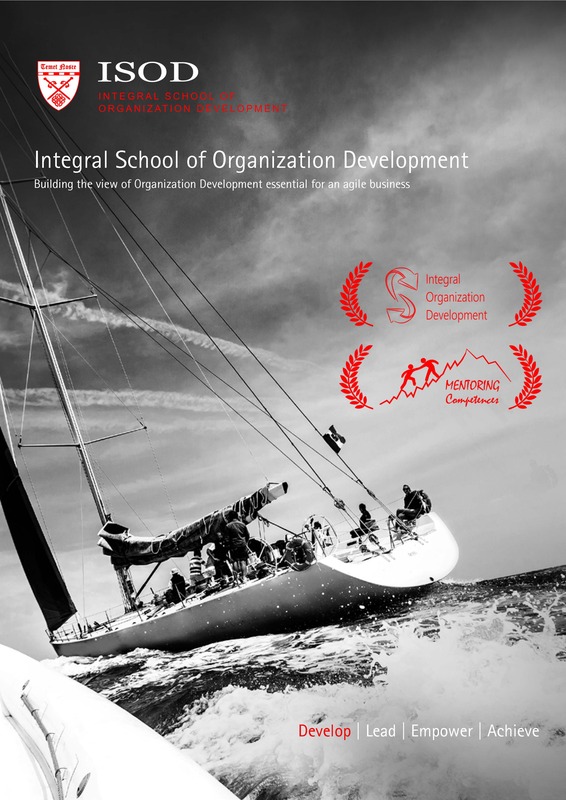 This program is highly recommended for managers, leaders, entrepreneurs, experts in the field of Human Resources (HR) and Organization development (OD), trainers, coaches, mentors, consultants and individuals motivated to grow and learn about human development, functioning, interpersonal and group relationships, teams and organizations. Having satisfactorily completed this course of study, students will be awarded a Diploma in Organization Development and Mentoring. In accordance with their individual preferences and ambitions, graduates may continue their education within ISOD at the Advanced Level, get accredited with EMCC at a Master Level, or pursue a PhD Level study at a number of Universities (inquire with faculty for details). Send a letter of application (via e-mail) to one of the contact addresses. School Council will interview the candidates in order to establish clear understanding regarding expectations and motivation. Referrals/recommendations are very welcome. Based on the information about motivation, previous work/life experience, competencies and expectations, the School Council shall approve or disprove the enrolment for each individual. All information collected during this process will be treated as personal and confidential. Hotel Villa Letan (situated near the sea, across from National Park Brijuni, 12 km from Pula center). We strive to make accommodation prices very acceptable, ensure that the working environment is peaceful, comfortable and spacious, that we can be in contact with the nature and that sports and recreation facilities are accessible.